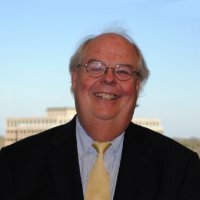 Edward W. Buttner IV, CPA, CFF, CFE | Veris Consulting, Inc.
Ed joined Veris in early 2012 as a Senior Managing Director. Prior to joining Veris he co-founded Buttner Hammock & Company, P.A., a Jacksonville, Florida based accounting firm with forensic accounting, litigation support and audit practice groups, and served as president since 1992. Ed has testified in federal, state and bankruptcy courts, arbitration hearings, and depositions on a variety of accounting, financial reporting, auditing, causation, and damages issues including, among others, revenue recognition, asset valuation, loss reserving, related party transactions, financial statement disclosure, and the application of generally accepted auditing standards. Ed has also served as a member of the American Institute of Certified Public Accountants and as a member of the Florida Institute of Certified Public Accountants for over 30 years.